Amazon: Sesame Street Learning About Letters DVD Just $5! You are here: Home / Great Deals / Amazon Deals / Amazon: Sesame Street Learning About Letters DVD Just $5! 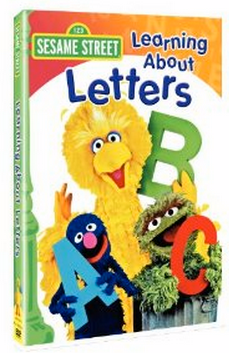 Head over to Amazon and get the Sesame Street Learning About Letters DVD for just $5! Plus, Super Saver Shipping will be FREE with an order of $35 or more or get FREE 2-day shipping with Amazon Prime. With the help of his Sesame Street friends, Big Bird leads Snuffy on a fun-filled trip through the alphabet. Cookie Monster sings the praises of “C” (for “cookie,” of course), while Oscar loves “I” and “icky ice cream cones.” Special guest Lena Horne joins in on all the musical fun as well. Whether you have a favorite letter, or love’em from A to Z, you’ll find them all here in delightful alphabetical disorder.